This weekend I picked up the brand new MacBook Retina with 12″ display, or what I call the MacBook Retina Travel Size. This is the smallest Apple computer ever and barely larger than my iPad. The MacBook will replace my four year old MacBook Pro 15″ that is too bulky for travel and my iPad Air that is too cumbersome to type anything of length. There are many reviewers out there that will give you the ins and outs of the new MacBook Retina, but here are my thoughts on why it may be the perfect travel companion. This computer was hard to find. Apple says that they don’t have any in stock and won’t until June (someone better get fired over that!). So I ordered mine online from Best Buy and had it shipped to Portland where I was staying this weekend (tax free!). I went for the Space Gray; although I have since seen the Gold version in person and actually really like it. 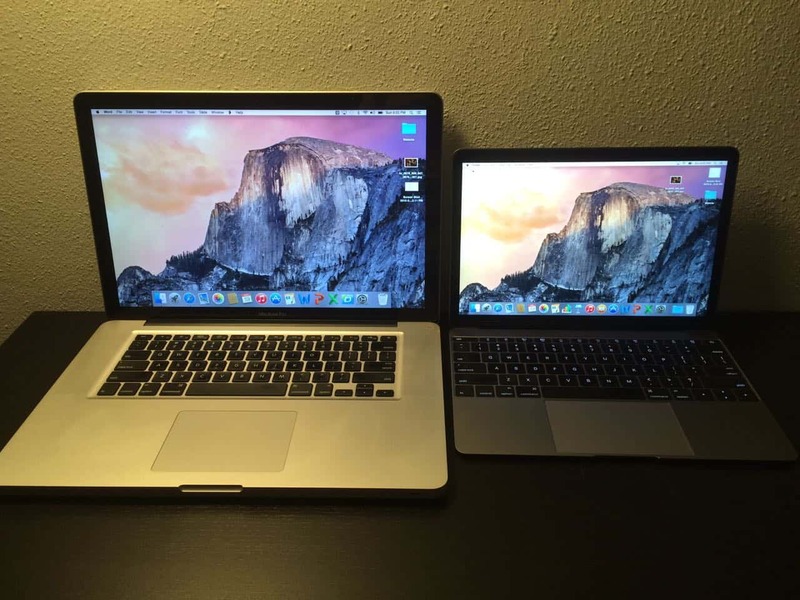 I purchased my current MacBook Pro with 15″ screen back in February of 2011. It has worked well and still does everything (and more) than I need; however it is bulky and I have found I never want to travel with it. 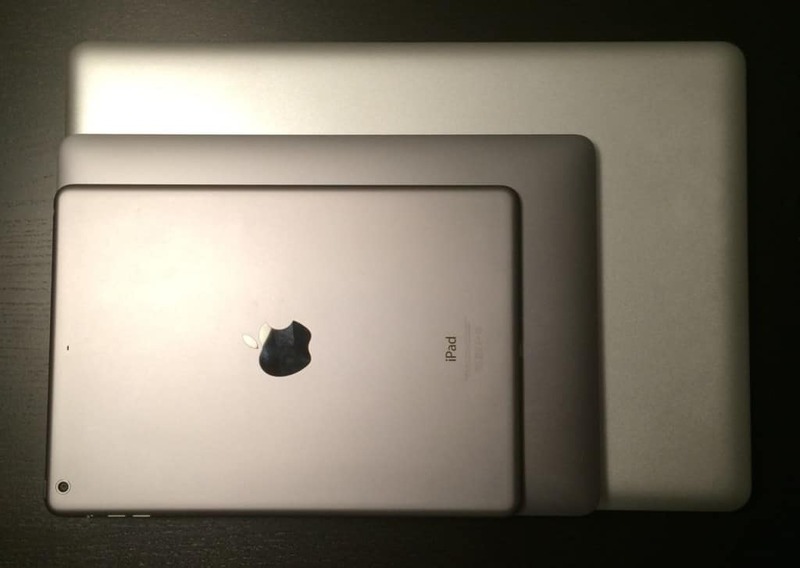 It weighs 5.6 lbs which, I know, is not that much, but I usually picked my iPad Air to accompany me on trips instead. I have a number of trips coming up and thought this would be a good time to pick up the new machine and sell my trusty old Pro. 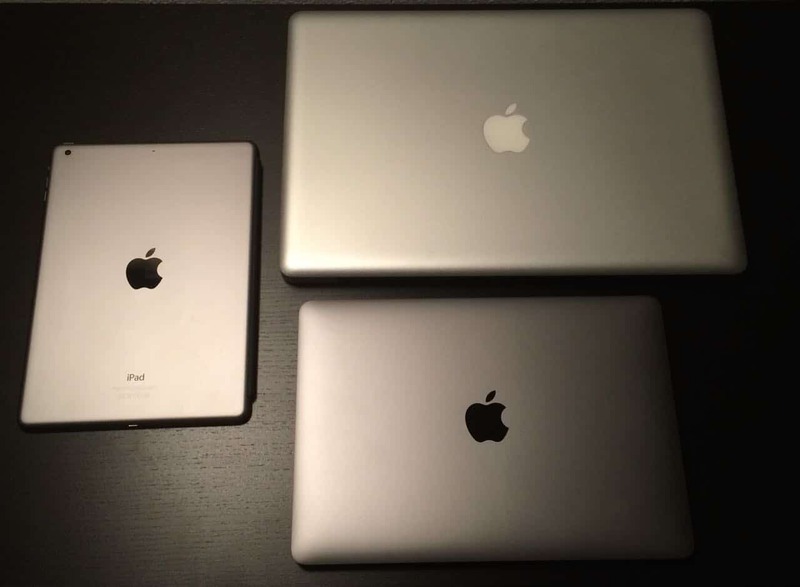 The new MacBook Retina weighs in at 2.0 lbs; a third the weight of my Pro and twice the weight of my iPad. While it is hard to tell the difference in weight of the iPad and MacBook, it feels significantly lighter than the Pro. To be honest, it almost feels too light sometimes. Not that I am afraid I will break it, just that it doesn’t feel like a computer! I am sure I will get used to it. The Bad: The only issue I have encountered so far that I do not like is the keyboard. I think with time I will get used to it. Right now it feels almost like typing on a touchscreen. They call this, ironically, travel: how much movement there is up/down on the key when you press it. You can feel the click, but I have noticed a few times that I am not confident that the typing registered. The Good: In terms of travel, you couldn’t really ask for a lighter, more compact computer. I wouldn’t want a smaller screen than this. And this screen… it is dreamy. I have never seen a computer screen this crisp. If you have an iPhone you will have a feeling for how clear this screen is. It also feels sturdy. There are literally no moving internal parts to this computer. Not even a fan to cool it. So you don’t have to worry much about it jostling in your bag as you walk to the plane. 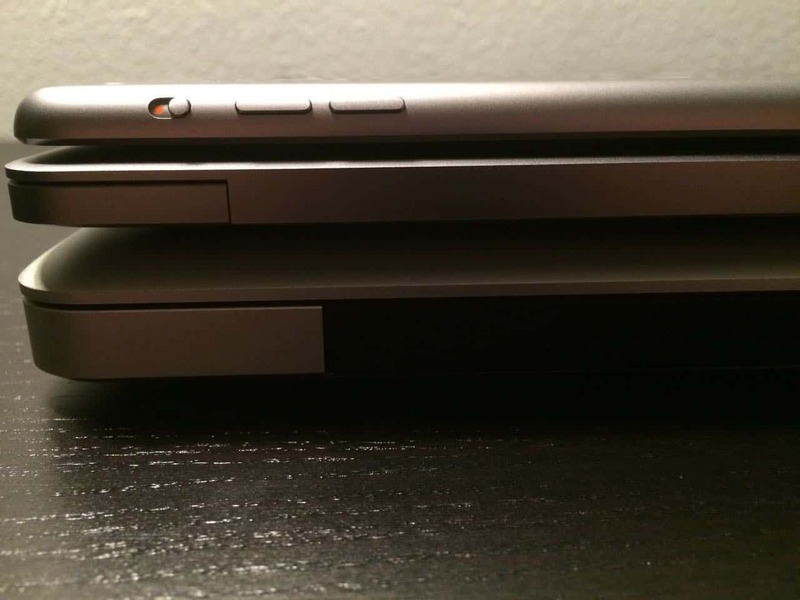 The hinge on the screen feels like it is well made and won’t break. It also has nice little rubber feet on the bottom that give it a bit of lift; I think it will be a great fit on the tray table and won’t slide around. The Unknown: I have yet to use it for a long time without being plugged in. The battery seems to last but I won’t know until I put it into real world use on a long flight. It may be possible to charge it over a USB port on a plane, but I will likely still bring the AC adapter. The biggest complaint I have heard about this computer is that it only has two ports: One for your earphones and one USB-C that works as the power port and plug in for any accessories. I can’t remember the last time I plugged anything into my computer. My photos and music sync wirelessly from my iPhone and iPad. I rarely use a USB thumb drive any more; I prefer either emailing myself whatever I need or using Dropbox/Google Drive. If they wanted to add another USB port, they would need to make the computer bigger. 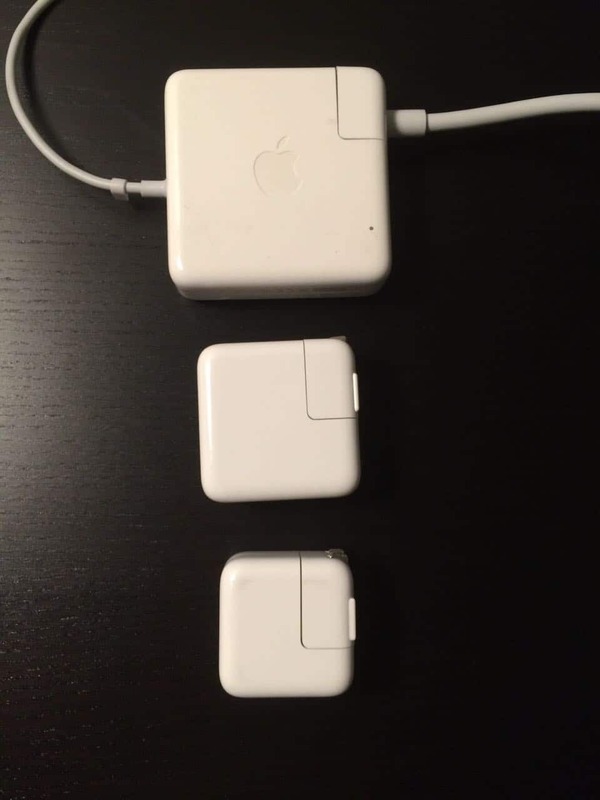 I will gladly give up all those other useless ports for portability. Yes. The MacBook Retina is a shiny new toy that I am sure will soon be replaced by the next greatest device that will be faster and cheaper. But for now, I have found my new MacBook Retina travel companion. I’ve actually been looking at one of these but I think I’ll let the technology mature a little bit before I pay the hefty price tag. All the reviews I’ve read mention that there’s something “off” about how the keyboard feels, so, you’re not alone on that regard. I am sure the next version will give you more bang for your buck. I usually am not an early adopter but this fit what I needed at this moment. The keyboard I am warming up to.